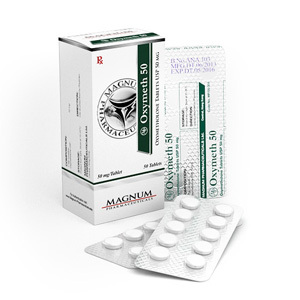 Magnum Oxymeth 50 mg is an oral steroid, alkylated at the 17-a group. Strong anabolic. Designed for the treatment of dystrophy, increased survivability and weight of cancer patients, radiation sickness, HIV-infected. In sports, it is used to gain strength and muscle mass, as well as in the treatment of injuries. 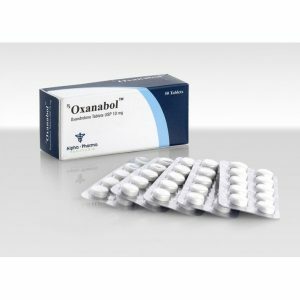 Oxymethalone is able to gain a lot of weight in the shortest possible time. Up to 15 kilos per course. However, not all of this will be a muscle mass. Anadrol acts on the progesterone and estrogen receptors, and thus causes a large accumulation of water. As well as an increase in the amount of fat in the body. Increases the synthesis of collagen in the joints and ligaments, which, coupled with a set of water improves the work of the entire musculoskeletal system. To keep the result typed in anapolone is extremely difficult. Sometimes a rollback occurs even in the case of a simple transition to easier pharmaceutical support. Not to mention the complete abolition of steroids. The main effect of oxymetholone is pronounced muscle growth. The steroid is one of the most effective – an athlete gains up to 15 kg for the course of the drug, and the anabolic effect is manifested very quickly. 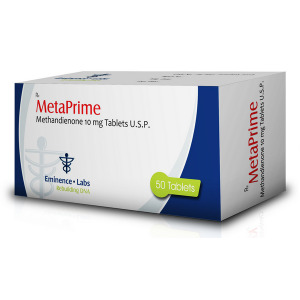 In addition, oxymetholone helps to increase strength, eliminates joint pain. It also suppresses the production of its own testosterone to a lesser extent than other steroids. Anapolone course is recommended for men over the age of 21 who wish to gain a large amount of muscle mass. The duration of the steroid course is from 4 to 6 weeks. The maximum dosage of Oxymeth 50 per day is 100 mg. For beginner athletes, the optimal dose is limited to 50 mg per day. In the last week of the course, it is recommended to gradually reduce the dosage in order to completely cancel it over the next 2 weeks. Most often, oxymetholone is used for a “quick start”, then the athlete switches to other steroids. In courses on muscle gain, oxymetholone is combined with trenbolone, primobolan, boldenone. For drying, oxymetholone can be combined with anavar. Experts believe that oxymetholone itself binds and activates estrogen receptors, therefore, it is recommended to add estrogen receptor blockers to the course.